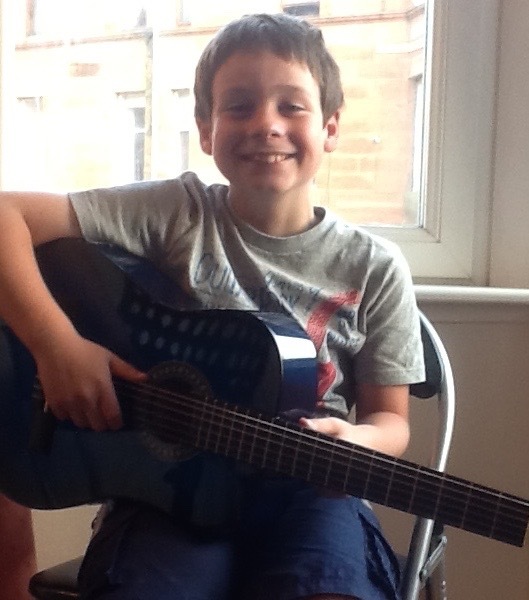 Kids Guitar Lessons You Can Trust in Glasgow’s West End, established in 2013. 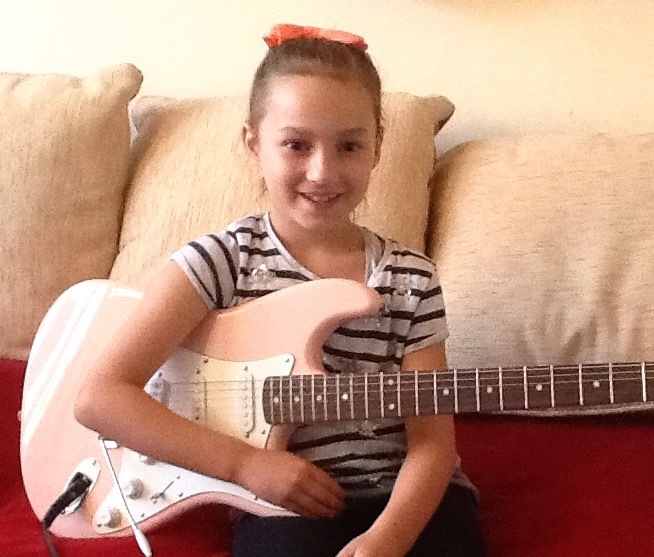 Lessons designed just for kids that make learning the guitar fun and easy. Friendly expert teacher with over 10 years experience teaching children. Convenient and safe West End location, with easy parking and close to all public transport links. We teach using popular and modern music that your child can relate to and enjoy. Affordable and flexible lessons that work for busy parents and families. 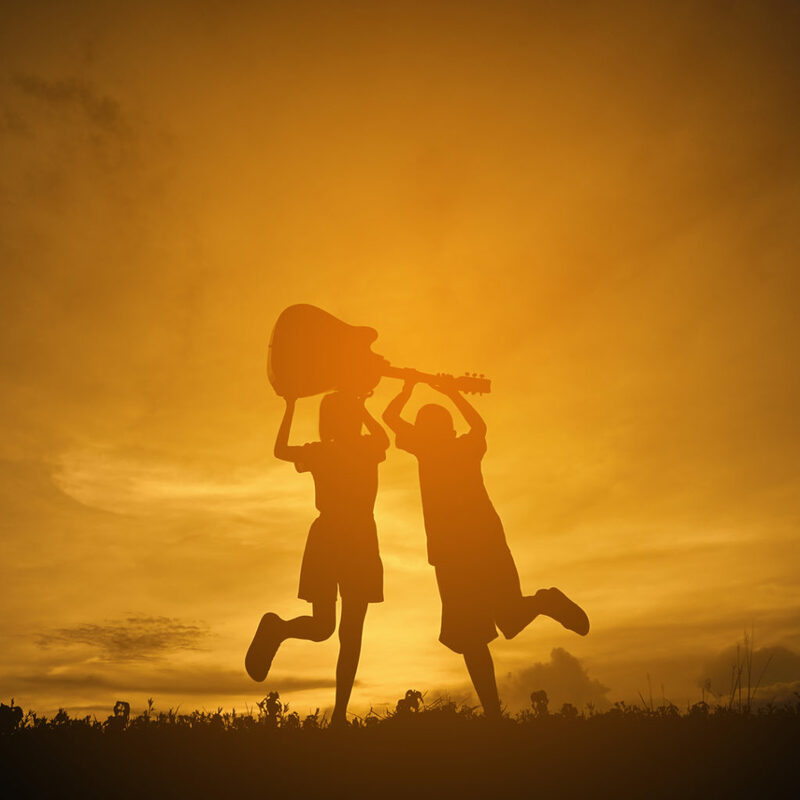 One of the most rewarding results of our guitar lessons is the feeling of confidence kids develop as they learn something new, whether it’s mastering a new chord or learning how to play their favourite song. Attending our classes gives your child the opportunity to meet other kids of a similar age who share their interest in music. They’ll develop new friendships and improve their social skills through interacting with their teacher and the others in their group. Learning the guitar involves mastering new skills, memorising new pieces of information, and dedicating time to practice each week. Practicing regularly will develop your child’s self-discipline, and they’ll soon be enjoying the results of their efforts. 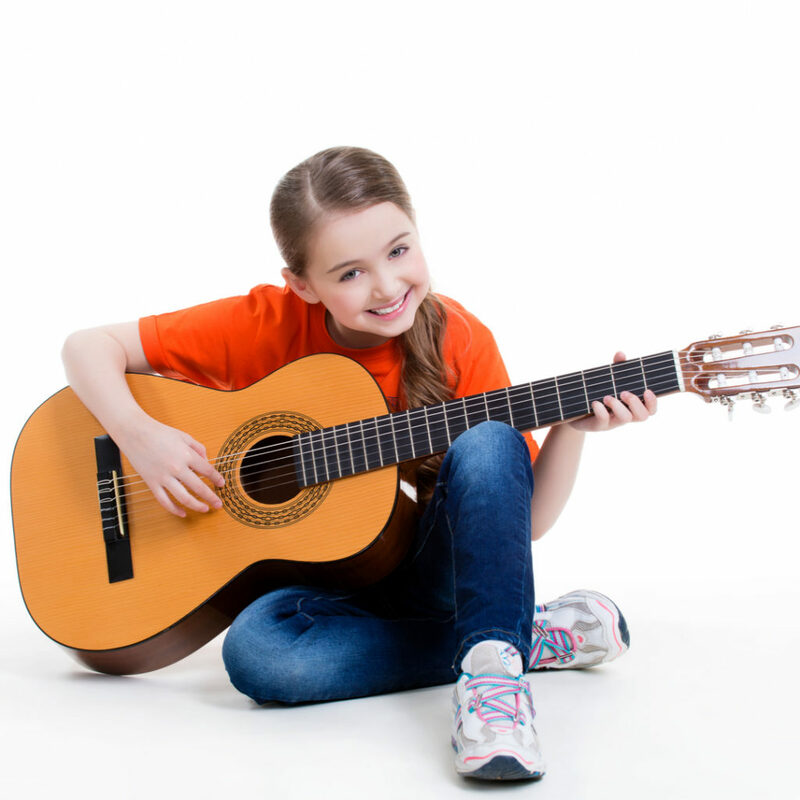 Attending our classes will give your child the skills they need to enjoy playing guitar for the rest of their lives. Learning guitar will also make it easier for them to learn any other instruments they might be interested in. 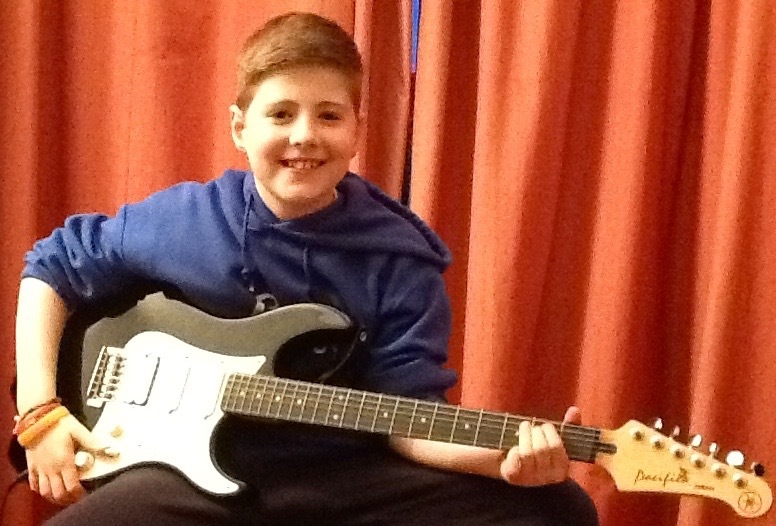 "Learning the guitar has given Alex something that he knows he can do and that he can impress others with. He genuinely looks forward to his lessons every week and has learned an awful lot in relatively short space of time." 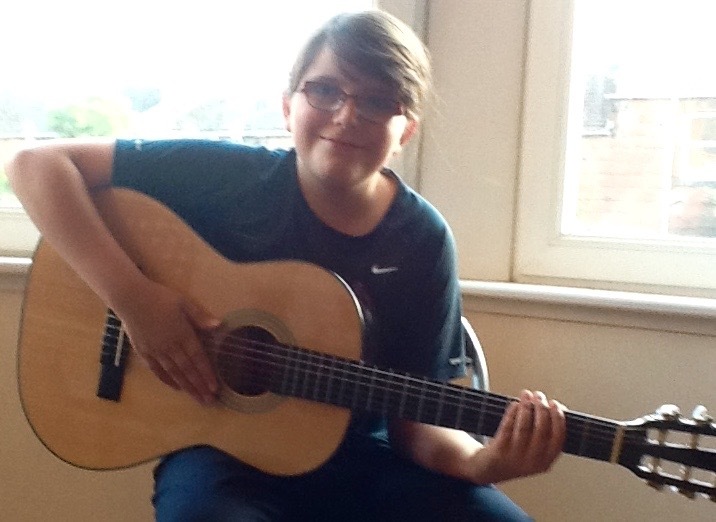 "I came along to First Strings last year with my 8 year old daughter, had a free trial session which was very helpful to give us an insight of the surroundings and teacher. My daughter always leaves the lesson full of beans wanting me to hear a new tune or chord she has practiced. 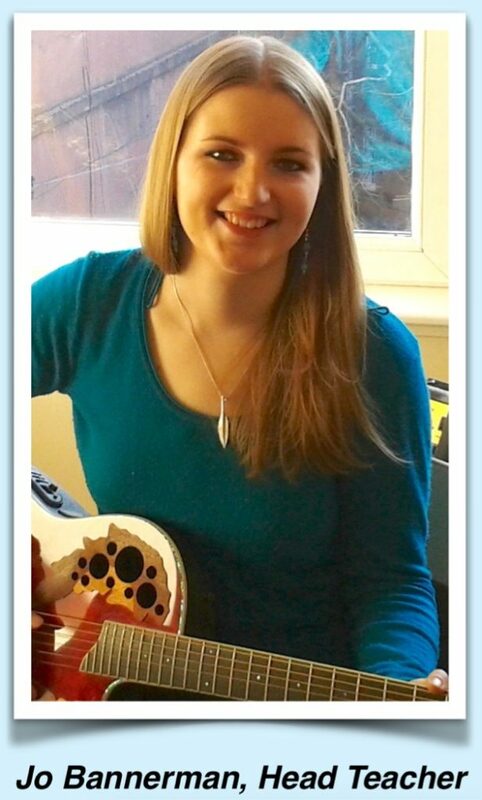 Johanna is an outstanding guitar teacher and I feel lucky to have found her for my daughter." 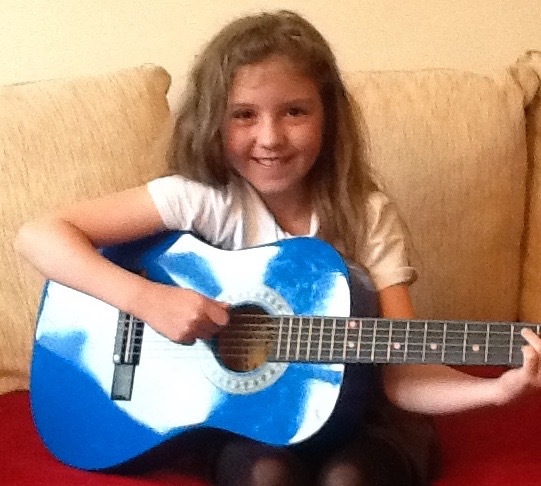 "Abby's confidence has soared since starting her lessons. She has always been a very shy girl and at first I thought she would struggle meeting new people, and particularly playing guitar in front of them, but there has never been an issue - she loves attending every week." "I thought music lessons were quite serious and a little dull. I also felt that for a lot of guitar tutors teaching is not necessarily their primary vocation but something they do on the side. 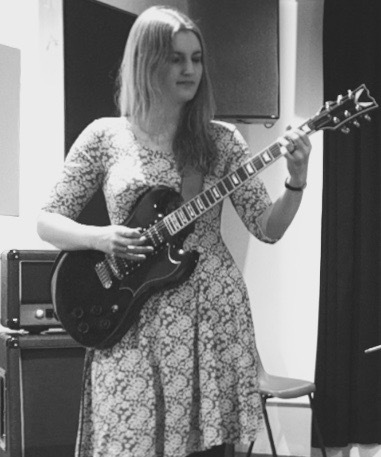 Johanna is extremely passionate about music and guitar tuition, and she develops an excellent rapport with her students. Lessons have definitely increased Alex's confidence and self-esteem." 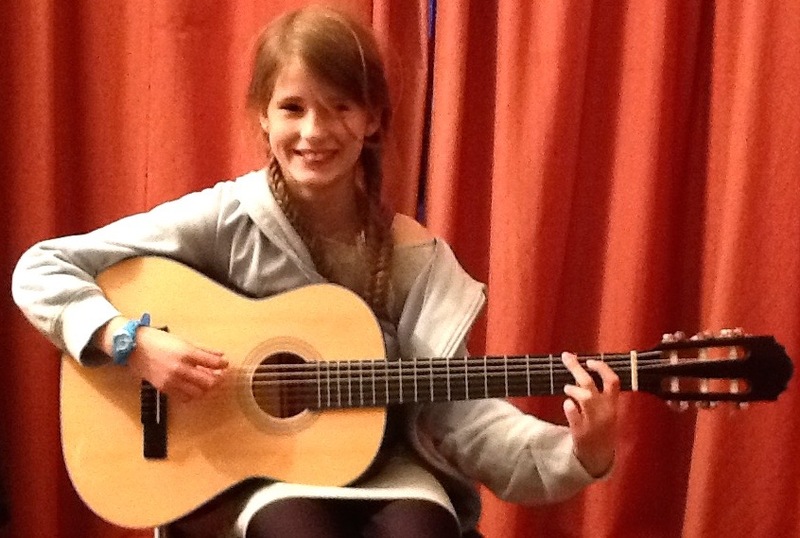 "The First Strings method has made it easy for Hannah to learn songs quickly and her lessons have the right balance of being relaxed but challenging. Hannah has become good friends with the other children in her group and looks forward to her class each week." "Hugh loves the relaxed surroundings and the pace of lessons. I would certainly recommend First Strings to another parent. The children learn well and never seem stressed about what they are doing. It is a lot of fun and Hugh is happy that he may just be a rock star one day". 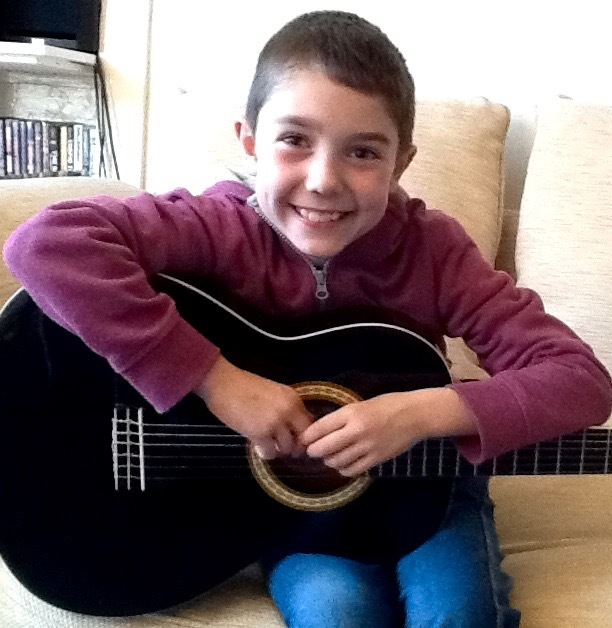 "I was bowled over after Jonah's first lesson that he was able to play me a tune! Jonah's favourite part of the lessons is learning new songs to play. It's also a great opportunity for him to meet new people outwith his home and school environment and he has shown leaps of confidence in himself, which has contributed in his adjustment into high school". "Before Anna started taking lessons I thought the only option was to have a one-to-one tutor at your own house, and that it would be expensive. With the group tutoring it is more affordable and a more sociable learning environment. Anna was pleased that very quickly she was able to play a few tunes even though she hadn't played the guitar before. She always looks forward to her lessons and we often hear her practicing in her room." 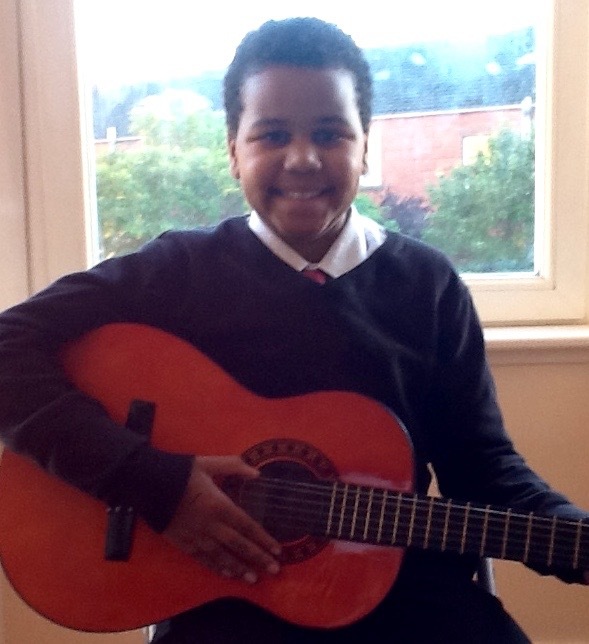 "I thought guitar lessons would be one-to-one and quite intense, with fairly slow progress. However with First Strings Adam has progressed quickly and smoothly. Adam is much more aware musically and has even taught himself some tunes on the piano since learning the guitar. I would recommend First Strings - Johanna is very friendly and approachable." 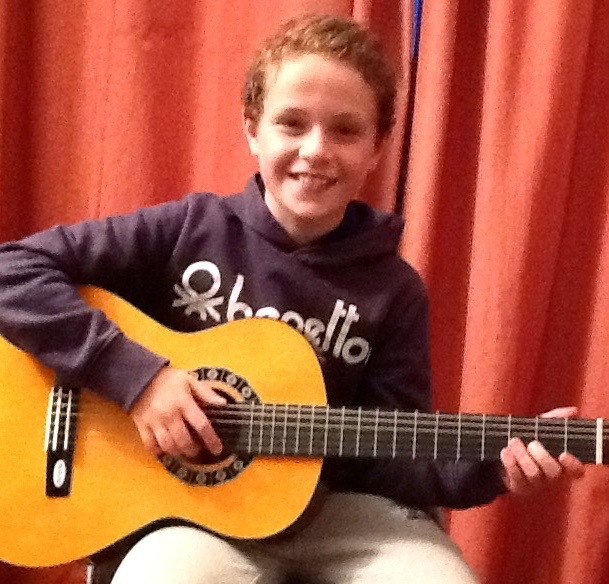 "My own experiences with learning an instrument weren't very good, so when Benno wanted to learn guitar I was a bit worried he might give up if the classes would be too formal and directed towards the wrong music. Since Benno is into rock music I thought it would be difficult to find the right class for him. When he came to First Strings for the first time he left highly motivated and started practicing right away. 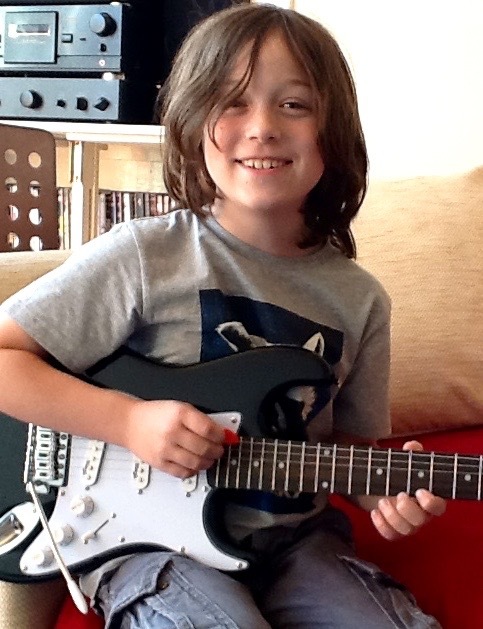 He loves his electric guitar and the relaxed, fun atmosphere during lessons." At First Strings we focus exclusively on teaching children. Our classes have been specially designed for kids, and make the process of learning guitar as fun and enjoyable as possible. Our lessons are accessible to students of any level of musical experience, and there is no requirement for your child to learn classical musical notation. 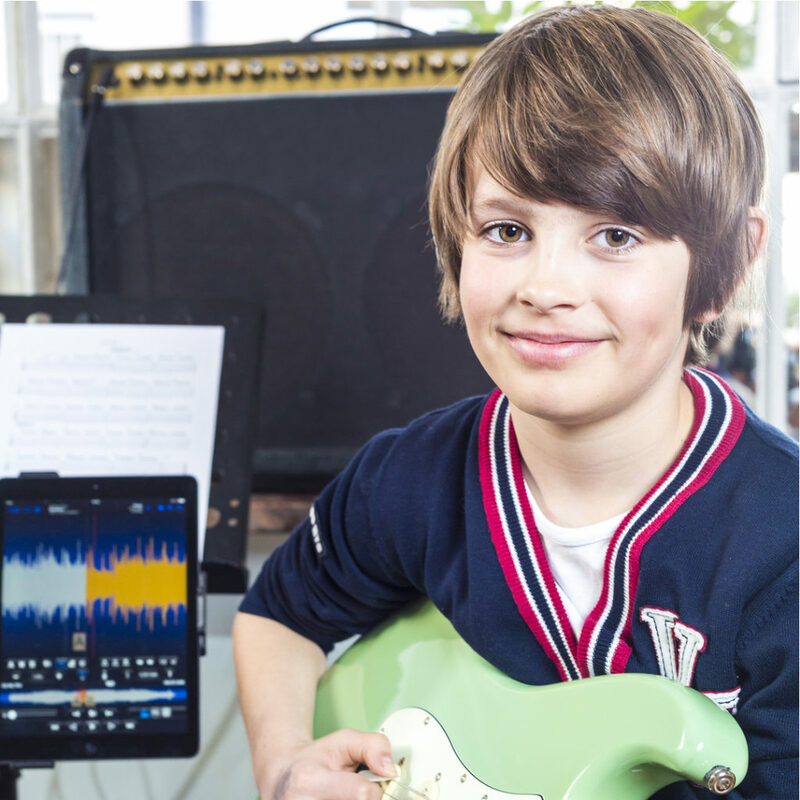 Our approach is completely different to traditional music lessons, with an emphasis on learning fun and recognisable music from day one. The context of familiar and current tunes makes music lessons more fun and relatable to kids, and this allows them to focus on enjoying their playing and sounding great as soon as possible. 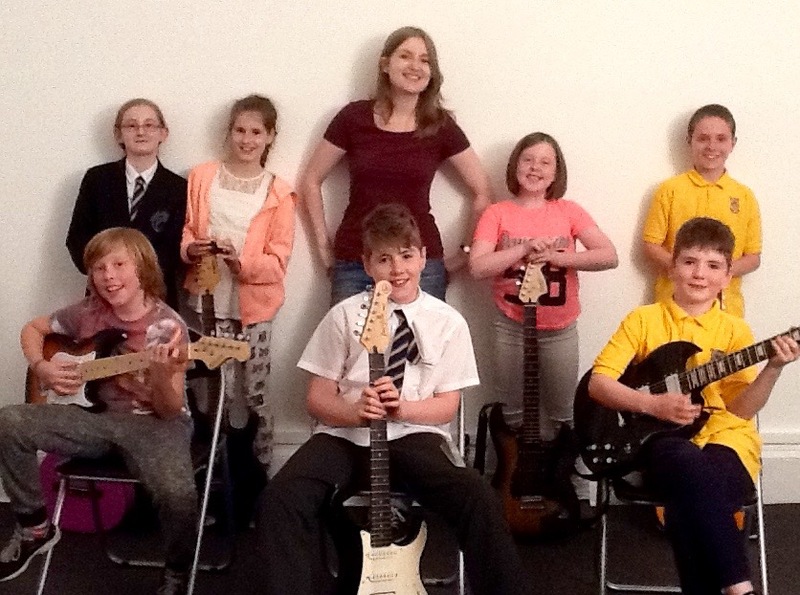 Jo is a guitar teacher who specialises in working with children. She has over ten years experience working with kids and teenagers in a range of different formats, from one-to-one tutoring all the way through to large group classes and workshops. Through her years of experience Jo has developed a unique system for teaching children, and has successfully taught hundreds of students how to play guitar. Jo holds a current Enhanced Disclosure Scotland Certificate (now known as ‘PVG’) and a Childrens First Aid Certificate. Will my child need their own guitar? Our classes take place at a safe and convenient location in the West End of Glasgow. We are a 2 minute walk from Partick Rail and Subway Station, and there are lots of convenient parking options nearby. Our full address will be provided before your child attends their first free lesson. Tuition: Fees for our classes vary depending on the tuition option you choose for your child, however our most popular option works out to just £15 per lesson. Our classes are specially designed for kids aged 7 and above. However if your child is slightly younger, mature for their age and keen to get started we would love to hear from you. Your child does not need a guitar for their first lesson, however if they start lessons they will need their own guitar at home to practice on each week. 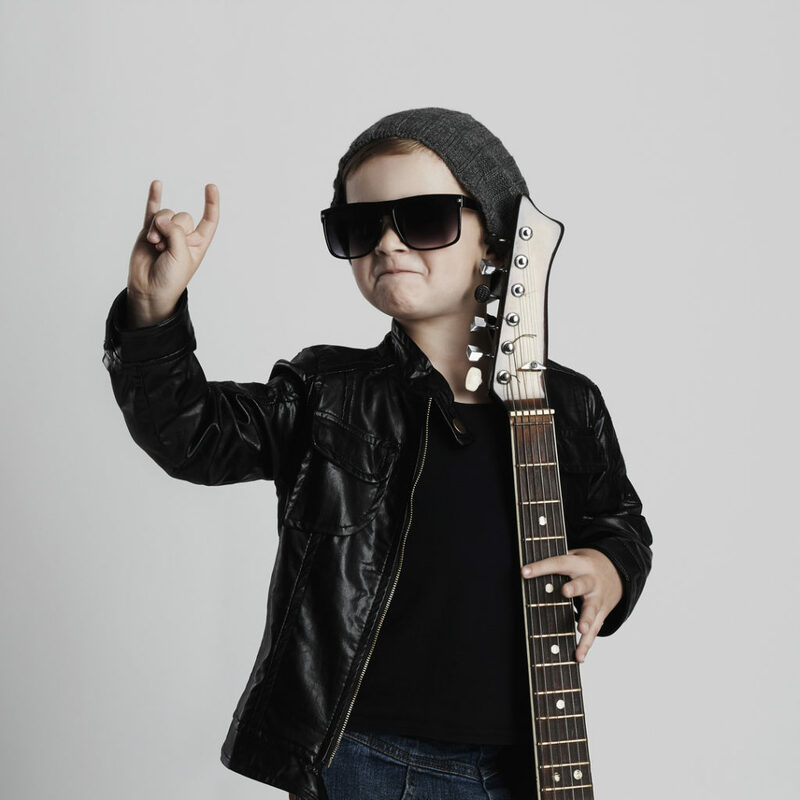 We can provide help and advice on buying guitar at your child’s first lesson.